SHANE Kersten is off to Fremantle after the Cats and Dockers brokered a trade for the tall forward on Thursday morning. 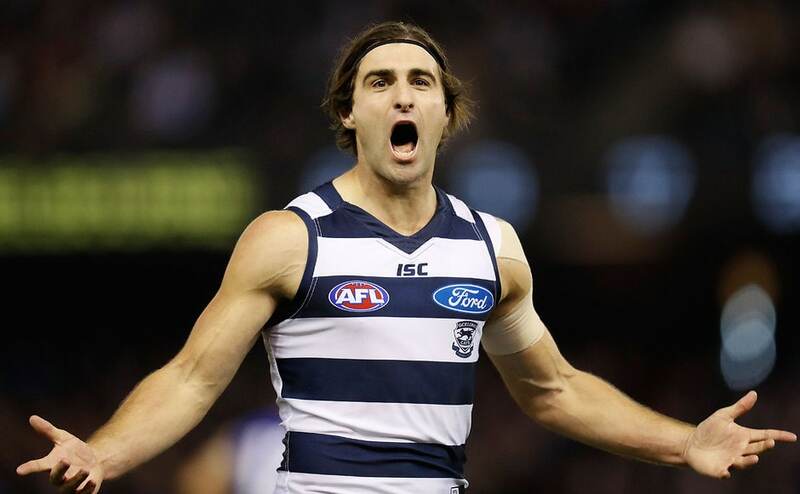 Geelong has received Fremantle's fourth-round selection (pick No.63 overall), which has now been offloaded to Carlton in the Zach Tuohy-Billie Smedts deal, for the talented 23-year-old. Kersten, initially drafted with pick No.34 in the 2011 draft played 37 games in five seasons with Geelong and often acted as the foil to Tom Hawkins up forward. The powerfully-built forward played 17 games in 2016 but lost his place in the team after round 22 and failed to play in the club's finals series. Fremantle list manager Brad Lloyd said his club was confident it could get the best out of Kersten. "Shane had a strong year in 2016 playing in Geelong’s forward line, where he showed his ability to play his role and kick goals," Lloyd said. "We look forward to Shane adding to Fremantle’s forward line and being a long-term player for the club." The mobile forward joins fellow West Australian products Joel Hamling, who was traded from the Western Bulldogs during the week, Hawthorn's Bradley Hill and Greater Western Sydney's Cam McCarthy at the club. Kersten spent his first two years at Geelong playing in the Cats’ VFL team, where he was the club’s leading goal-kicker in 2012 and 2013.